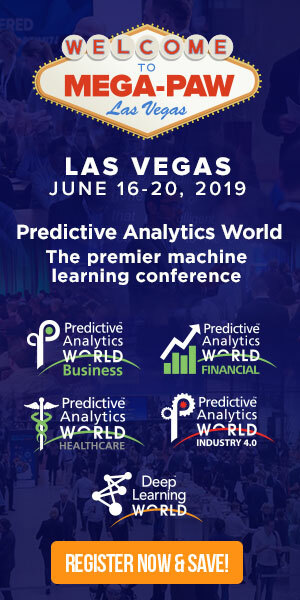 In anticipation of his upcoming Predictive Analytics World for Workforce conference presentation, Predicting Safety and Performance from Unstructured Data, we interviewed Ben Taylor, Chief Data Scientists at HireVue. 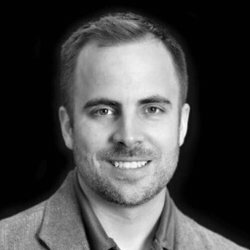 View the Q-and-A below to see how Ben Taylor has incorporated predictive analytics into the workforce of HireVue. Also, glimpse what’s in store for the new PAW Workforce conference, May 14-18, 2017. A: We have companies using us to accelerate their candidate workflows by concentrating top talent to the top of the queue. One of those examples is with Hilton where they were able to reduce their hiring cycle from 6 weeks to 6 days: https://www.hirevue.com/customers/hilton-hirevue. We have many different sectors including flight attendants, customer service, engineering, and even driver safety using this digital assessment approach. With any predictive solution the saying still holds true “Garbage in = garbage out.” In regards to the digital assessment we still see a wide range of performance. Customers who have great questions and performance labels tend to very well, where customers who lack structured interview integrity and have suspect performance labels struggle. Not even the best technology in the world can fix your bad data problem, so data integrity is key start thinking about that now. A: I love the data science side of things and I have seen too many examples where the human element brings negative consequences (racism, similarity bias, delays, etc…). We all think we are great at hiring when really in reality we are not because our personal observations are limited and we struggle to generalize our experiences well. My boldest data science creations might include “auto-hire” where the computer is so confident in the candidate’s assessment that a hiring decision is made automatically. Imagine having someone start working for you that you have never met, but they are great. I think this is possible someday and we will see this happen first in the high volume low risk positions (i.e. call centers, etc…). A: Never. That might surprise you that I would say that being a machine learning advocate, let me clarify. So default ensemble methods and deep learning nets are black boxes to customers. For expert data scientists they are not and actually tell some great stories behind their features and decisions. So I think the ownership here is not on businesses or industries being forced to adopt these methods, I think the responsibility falls on the data scientists to ensure that approachable stories are being told from these models. I think during the next 3 years you will see a lot of progress with the story telling side where these black box methods will become much more open. As that happens I think all businesses will be ready for this new technology. A: There is a huge language barrier here. I would suggest hiring an IO Psychologist, someone who is much more familiar with bridging that gap and communicating value to workforce challenges. I remember being surprised that the person I was talking to on the phone didn’t appreciate the R-value I was talking about from the cross-validation study. Most of what I was talking about was unfamiliar jargon with no clear mapping to actual business metrics. Convincing someone you are smart is no way to sell a product; you have to convince them you have value in terms they understand. A: Screening incoming candidate talent is labor intensive process that can be overwhelming for large or popular companies. There are many companies actively using predictive analytics with resume modeling, assessments, mobile games, or video interviews to help concentrate candidates. A: Data integrity. The business culture, regardless if they are using predictive analytics now, needs to focus on their data integrity. Are your interviews structured? Are you asking the right questions? Do you trust your performance metrics? How is your intra/inter-rater reliability on these performance scores? Making sure you have great data collection and integrity will ensure that when you are ready that you can get the most benefit. A: Hilton was able to reduce their hiring cycle from 6 weeks to 6 days: https://www.hirevue.com/customers/hilton-hirevue using our predictive interview scores. We have an internal customer support role within HireVue where we think we can reduce our hiring cycle to 1 day, or even automate the hiring decision completely. I am of course pushing to automate the hiring decision in this case because I see that as a historic milestone for HR analytics. Don’t miss Ben’s conference presentation, Predicting Safety and Performance from Unstructured Data, at PAW Workforce, on Wednesday, May 17, 2017, from 3:30 to 4:15 pm. Click here to register for attendance. Use Code PATIMES for 15% off current prices (excludes workshops).